Joint pain, body ache, fever. This monsoon season, Bangaloreans have been hit by the viral. City hospitals are packed as patients line up to get themselves checked for dengue fever and chikungunya. Dengue fever, also known as break bone fever or bonecrusher disease is characterised by severe headache, muscle and joint pain, fever, rash and sometimes even gastritis. This is transmitted by the bite of the Aedes aegypti mosquito infected with any one of the four dengue viruses. The symptoms generally appear only after 3-14 days after the infective bite. The more severe form of dengue is the dengue haemorrhagic fever, which can lead to death. Chikungunya is also transmitted by the Aedes mosquito and is characterised by fever and joint pains. This illness is not known to be fatal but the joint pain could get severe, lasting for anywhere between six months to one year. Dr Shankar Prasad, Medical Director, at Bengaluru’s St Philomenas Hospital, says the Chikungunya antibody test is very expensive. "Chikungunya is not a serious illness. It passes off by itself. WHO says give paracetamol. When there is no treatment, why simply get this expensive test? ", he says. Aedes aegypti mosquito. Transmitter of dengue and chikungunuya. Pic: Wikicommons. Most doctors do not recommend a test for chikungunya as there is no specific treatment for this. Dr Purnima Parthasarathy, Consultant & Head, Infectious Diseases, Manipal Hospital, says the fever can be decreased with paracetamol and that antibiotics have no role in treating dengue and chikungunya. In the case of dengue, if there is a platelet count drop, then patients are admitted to a hospital for platelet transfusion. Dr Parthasarathy says aggressive supportive therapy is very important. "Give them IV fluids, and when necessary platelets. Once you catch them on time, death rate is less than one per cent", she says. Platelets are blood cells that play a key role in blood clotting. If the number of platelets is too low, excessive bleeding can occur. A normal platelet count in a healthy individual is between 1,50,000 and 4,50,000 per micro litre of blood. Dr B G Tilak, Medical Superintendent, Victoria Hospital, says these days they invariably ask patients to get a blood test done if they have a fever. Dr Prasad of Philomena’s hospital says, "In the case of dengue, yes, only if the platelet count drops really low, it can lead to shock syndrome. Platelets are easy to get". A unit of platelet concentration costs a little more than whole blood. At K C General Hospital in Malleshwaram, one unit of platelet concentration costs Rs.450. The same costs Rs. 530 at the St. John’s Medical College Hospital on Sarjapur Road. Hospitals in Bengaluru which have access to blood banks usually also have platelet concentrations. St.Philomena’s in Richmond Town and Lakeside Hospital in Ulsoor do not have blood banks. K C General Hospital has a blood bank but they only have whole blood. They receive platelets either from Victoria Hospital in Kalasipalya or from other blood banks. H Kiran, a Lab Technologist at the hospital says it would be better to have platelets concentration at their blood bank. Dr L T Gayathri, Chief Health Officer, Bruhat Bengaluru Mahanagara Palike (BBMP), says BBMP hospitals offer free treatment for dengue and chikungunya. "We have got doctors, staff and medicine, equipment for taking blood smear and samples. We only have to give paracetamol to patients". Associate Medical Superintendent of St John’s Hospital Dr Savio Pereira recommends that patients should not go to alternate doctors and quacks at a time like this. "Go to conventional doctors", he says, adding that hospitals are equipped to treat these illnesses but that it depends on the quality of doctors. Summer camps are one way of getting children to learn something new with fun. But this is changing with times. More parents believe that activities can be held in many other ways along with the summer camps. 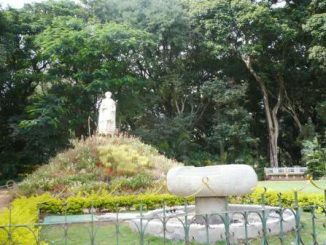 An urban ecology project involving surveys in neighbourhood parks in Whitefield, Bannerghata and Kengeri/Herohalli is looking for volunteers. The article published on prevention of Chikungunya and dengue is informative. Although I am not a resident of Bangalore, this article for sure has enlightened me on the symptoms and the possible cure of the diseases, more essentially on the prevention. The article is simple, clear and self explanatory. I must congratulate Vaishnavi Vittal for her fantastic work with this article.